Only four days ago, the World Wildlife Fund (WWF) and Global Tiger Forum (GTF) broke the story that world tiger numbers had increased for the first time in over a century. Like many individuals, I was excited by this news. I even shared some of it on this blog. But now scientists with the NGO Panthera are contesting those claims. On April 12, Panthera issued a press release urging readers to interpret the WWF’s and GTF’s statements with caution. Dr. John Goodrich, Panthera’s Senior Tiger Program Director, said the increased tiger numbers are the result of more precise data and greater monitoring efforts: not actual population growth. He went on to say that more rigorous, scientific examinations are necessary before it is safe to conclude that tiger numbers are indeed rising. In a recent blog post he wrote, “Recent claims that global numbers of wild tigers are increasing are misleading….there is no scientific evidence of a population increase—we’re just doing a better job of counting them” (Goodrich, 2016). This is not the first time scientists have countered reports of tiger population growth. Last year, the Indian government reported a large jump in its tiger numbers. But scientists disagreed with those claims, again citing more comprehensive monitoring efforts as the reason for the supposed gains. So while I would love to say that global tiger numbers are indeed rising, the best thing to do is wait for more information; and keep up conservation efforts. It is too early to say for sure if tiger populations are increasing, so we must not lessen our resolve. In the meantime, click here to read Dr. Goodrich’s recent blog post about how tiger numbers are counted. Next Do Attitudes Predict Behaviors? Wonderful Post. I can however vouch that sightings in Tiger sanctuaries like Ranthambore have become more frequent. I myself have seen nearly 6 during the course of a single safari. Population is increasing , I cannot say ? My personal opinion is that tiger numbers are growing in India, based on what I’ve heard from people like yourself who live there. But since I’m just a guy who blogs about tigers, and not someone who actually studies them, I’m hesitant to openly disagree with respected scientists on this matter: at least until I have more information. I hope you understand. I agree with you entirely. The counting methods have also been under the scanner and not entirely reliable. I think that’s one of the reasons Dr. Goodrich is urging people to be careful. It’s very difficult to know what is actually happening with populations of stealthy animals like tigers. Thanks Dan, I assure you that I’m most eager to see what happens with this conversation. I would love some more good news concerning tigers, but like you said it’s important to stay realistic. False hope can be dangerous. So is it safe to say that if the present reports are not as good as they say, then the past reports may not have been as bad as they said. We have had more tigers than thought all the time, just not counted on paper. That seems to be what Panthera is hinting at. The previous estimate of 3,200 was too low, because methods of counting tigers have improved in the last few years. Granted 3,890 wild tigers is still dangerously low. I think that these reports has to be known only by the scientists. What happen if now it will start a hunting? I think that’s one of the reasons scientists are urging people to interpret stories of increased tiger numbers with caution. There’s some fear that if certain people get the false impression that tigers are doing well, they’ll push for activities that might put them in more danger. If there are real and verifiable increases in tiger populations, however, I believe people should be told about them. It’s always good to be honest in order to build trust, and positive stories can go a long way in generating more support for conservation. Some people might push for activities like hunting, but trophy hunting of big cats is losing favor among the general public. 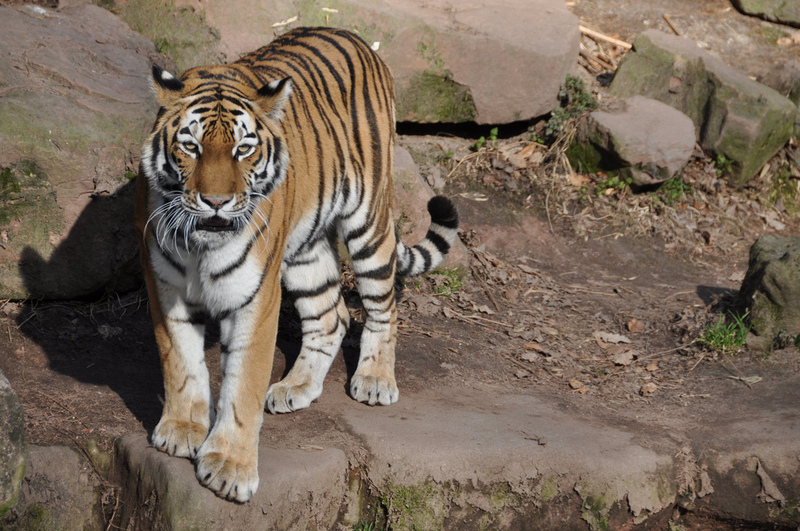 Any attempt to start tiger hunting operations would likely be met with huge public backlash. I know you’re right with what you just said, but this is my point of view. Any huge public backlash is for nothing if a tiger is already dead, right? Possibly, depending on how many tigers are killed before the public backlash takes effect. I believe the outcry would begin as soon as the public finds out a country is planning tiger hunting initiatives, which would likely take place before the hunting actually begins. Cecil’s death has also shown that public backlash can have lasting effects, even after an animal’s already been killed. Several prominent airlines banned the transportation of lion trophies, the USFWS is considering stricter lion protections (they may have already installed them), and trophy hunting is now vastly more unpopular than it was before. So never underestimate the power of collective action. OK :) I love them so much and I really don’t want to see them extinct. That’s all! Well done tip-toeing with grace through this minefield Josh. I must admit, I had my radar up when the WWF story came out. I didn’t share it because I didn’t trust it. I am glad Panthera has weighed in. They have always been a stable messenger. I recall some years ago WWF holding up a whole inter-governmental meeting arguing the semantics about the state of the Baiji (or Yangtze River dolphin) one of the most endangered animals on Earth. Scientist said is was ‘functionally extinct’ – with less than a dozen individuals left. WWF disagreed (I have since wondered about their motivations) and didn’t want the bad news broadcast. Positive stories are of course always welcome, but they should never silence real information. People are already in the dark about far too much. The world needs to toughen up a little and recognise the state of things so politicians can be given the permission to act. It doesn’t do anyone much good if the public remains oblivious to reality. Also, I hope that future scientific reports will confirm that tiger populations are growing. I have heard from people in India (like Mukul Chand in the comment on this post) that tiger number appear to be increasing in that country. I sincerely hope that such reports will be confirmed by the scientific community in the near future. I’d gathered that not everyone fully trusts the WWF, but being relatively new to this field I wasn’t sure why. I admit to feeling frustrated (to put it mildly) when I first learned that the original story, which has since been picked up by many news outlets, was potentially misleading. I try to go out of my way to find positive stories for this blog, but the most important thing is to be honest and transparent with the public. People need to know that when we issue public statements, they don’t have to second-guess what we say. I don’t want to go so far as to accuse the WWF of intentional dishonesty, but like you I’m glad Panthera weighed in. Otherwise people like myself who are new to this field might not have picked up on the fact that the original story might be misleading. I do hope the tiger population is increasing, Josh. I was happy to read the news and want to desperately believe the forest rangers. Dr. John Goodrich might have a valid point there. It’s hard to say with precision whether it is the counting technique that resulted in the rise. Sadly, fudging results isn’t new. I’ve never seen a tiger in the wild, but I’m in love with it’s sheer magnificence. I do hope the conservation programme is a success. It would be a shame to lose such fantastic cat. I also hope the tiger population is increasing, but it appears to be too early to tell. I don’t believe any of the numbers were fudged in this case, but it’s possible they were misinterpreted. That’s easy to do, especially when one is strongly hoping for a certain result. We want to believe we can alter the alteration we have done to nature. The saving of a tiger versus the added encourchment on the Tigers habitat would explain more sightings. I hope they are recovering. But I suspect we have the same probl m with wolves in the States. We added them back but an undistriburbed environment isn’t there for them. In the past we have brought species back from the brink, so there is hope for tigers. There is some evidence that they are increasing in some areas, but we don’t yet know what the global trend is. Like you said, it’s also possible that increased human encroachment on tiger habitat is leading to more sightings. But again, I’m hesitant to say anything definitive until more information is released. I’m quickly learning that good, scientific information takes longer to accumulate than popular media articles. The example of wolves in the US offers many important lessons, so I’m glad you brought it up. Restoring wolves to the continental US was a great thing to do from an ecological standpoint, and I’m happy their populations are growing. But as you pointed out conditions are different than they used to be: wolves now have to coexist with people in many areas. I think that wolves are smart enough to adapt to life near people, but they were reintroduced before much of the animosity towards them had been dealt with. Add to that the political controversy surrounding their return, and the increasing feeling of marginalization among the rural US population, and you have a recipe for conflict. To me this shows that if we’re going to increase large carnivore populations, which I sincerely hope we do, it’s critical to start building tolerance among local people and planning to minimize conflicts as early as possible. Wolves suffer from their reputation. Coyotes are the reinvented species. They perfectly blended into the urban landscape. In Montana the ranchers will shot wolves because they are on their property. Still the populations are better. But the price will be hunting wolves being legal. I hope the tiger does recover like the California Condor. I think a lot of the purpose behind the ‘rebuttal’ is to make sure nobody gets the idea that we can afford to take our foot off the pedal when it comes to conservation. The whole argument is one about scientific rigor in data before being certain about any trend and given that this approach has done well for Siberian Tigers and has at the very least helped make for a more accurate census this time around. What it seems nobody is contesting though is that the numbers -aren’t going down-, which itself is almost as great an accomplishment as growing numbers. It’s a signal that we’re doing the right things more or less and with added effort we might actually see the doubling of tiger-numbers that was hoped for by 2020. I think you raise a valid point, and that’s a thought that’s crossed my mind too. I’ve wondered if at least part of the motivation behind Dr. Goodrich’s comments was to make sure no one gets the impression that the situation is better than it is. But I hadn’t considered the significance of the fact that no one’s claiming tiger numbers are dropping. Given how bleak the global tiger situation has looked until very recently, that’s a huge accomplishment. Dr. Goodrich did mention that in some source sites, areas that have been deemed to be especially important for global tiger conservation, tiger numbers seem to be growing. And like you said the current approach has worked well in areas like the Russian Far East. So while I don’t want to celebrate too much at this point and give readers the wrong impression, I think there’s cause to be optimistic. In fact I’m feeling more optimistic about the future of tigers now than I have in a long time. With increased effort I believe we might just see a doubling of tiger numbers by 2022, which would be incredible. I hope it’s true too! Even if it’s not, Amur_Tiger pointed out that perhaps the most significant part of the current situation is that no one’s claiming global tiger populations are falling (though some regional populations may be). That in and of itself is a success. It’s ironic how there are more tigers in captivity. Some idiotic loophole in the law allowing people to buy them as pets. There are many such loopholes, and many people exploit tigers and other animals for money. There’s starting to be talk about outlawing the possession of dangerous pets in some states in the US, but in my opinion not enough. The fact that people are willing to pay lots of money for so-called ‘exotic pets’ also helps to drive the illegal wildlife trade.